Article by Doug Chaltry; last updated 3 February 2008. This kit is the final ExtraTech tank destroyer kit for me to review, and it is one that I waited a long time to get. 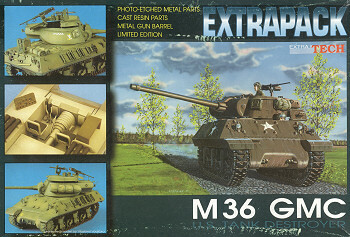 My other ExtraTech tank destroyers were donated to me when I ran On The Way, but I never received the M36. I had a few opportunities to buy the standard version of this kit (the non-Extrapack version), but due to its high cost I refrained until just recently when I found a shop that had the Extrapack kit at a very reasonable price. The three scans below are common amongst all the ExtraTech tank destroyer kits, and I refer the reader to the Achilles IIC preview for a greater discussion of these parts. The plastic hulls are for the diesel-engined M36B2, which is used for two of the marking schemes included with the kit. In order to build the gasoline-engined M36 for the other vehicles included on the decal sheet, the modeler must convert the hull to the M36 configuration by using the etched brass replacement engine deck that is included with the kit. 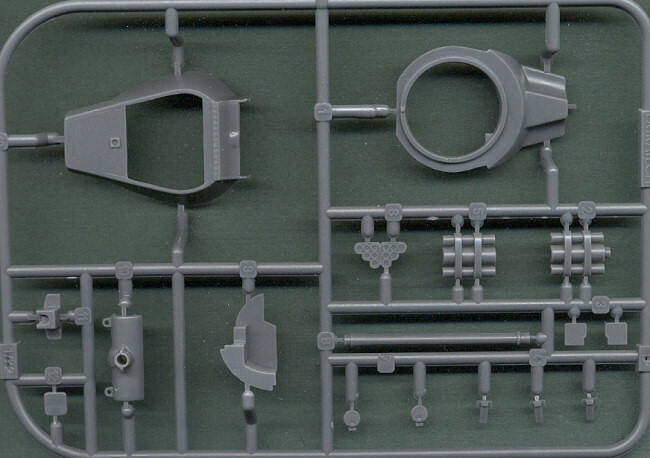 Unfortunately, the exhaust parts included in the kit are correct for only the M36B2, not the M36. But and exhaust deflector has been included in resin for the M36 which should hide the exhaust parts completely. My only other comment about these parts regards the tracks, which I have mentioned in previous reviews. The tracks are very finely made T-54E2 tracks, which as far as I know, was a very rare style. Although this track style was occasionally seen on British Shermans and TDs, I don't think they were ever used by the US military (someone correct me if I'm wrong), so they are inappropriate here. The only track styles that I've seen in photos of the M36 are the T51 plain rubber block (uncommon), T49 rubber chevron (very uncommon), and the T54E1 steel chevron (most common), often with the extended end connectors. 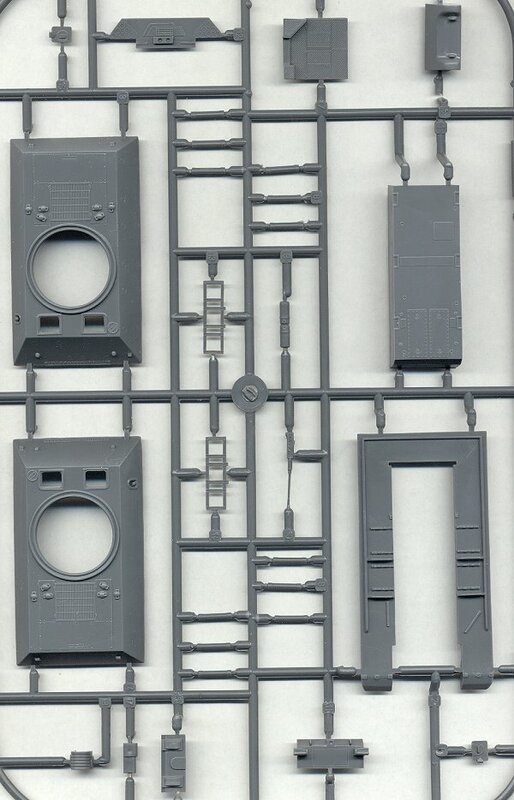 The T54E1 track looks somewhat similar to the T54E2 tracks included with the kit, so unless you're a purist, you could get away with using the kit tracks. 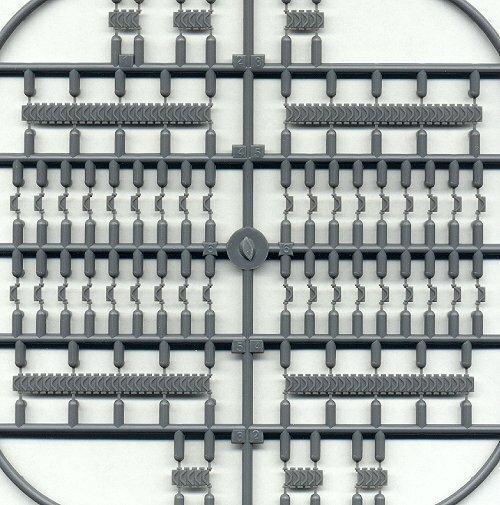 One other note: in all of the photos I've seen on the M36, they were equipped with the late style sprocket wheel using the solid sprocket plate, not the earlier style with the cutouts in the sprocket plate behind each sprocket tooth, such as the ones included with this kit. I think a swap for late sprocket wheels from a different Sherman kit is in order. 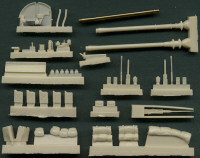 The new sprue of plastic parts for this kit includes the 90mm-armed M36 turret. 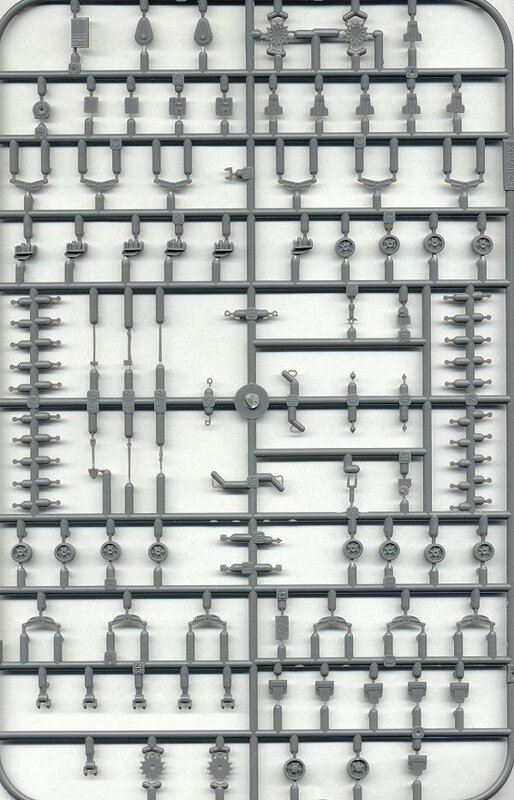 The casting of this sprue is the same high-quality molding as the earlier kits, with some minimal interior detail, but not a whole lot. This is the reason I held out for the Extrapack version of this kit, because so much more interior detail is included with this kit in resin and brass. 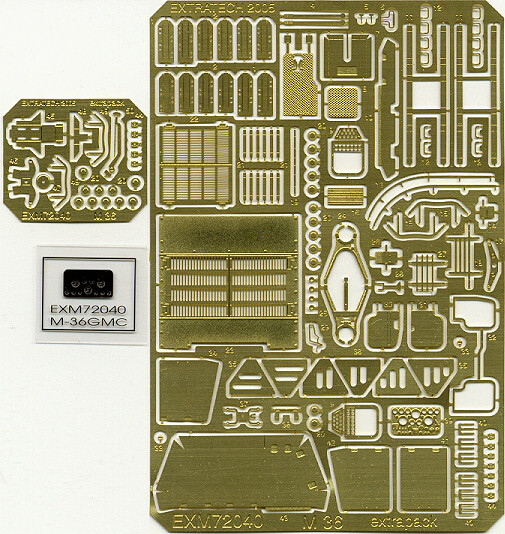 The above scan shows the large number of resin parts to come with this kit. As mentioned, most of the turret interior detail is included, as well as some hull exterior details and accessories. 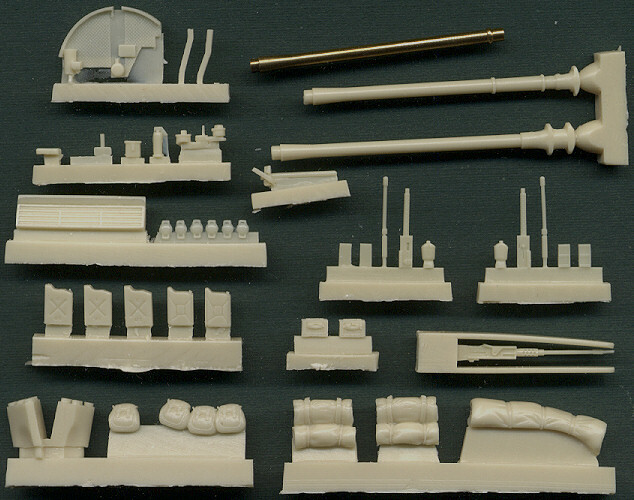 Three gun barrel styles are included with this kit: the WW II version in plastic or turned brass, or the post-war US and post-war French versions in resin. An outstanding .50cal AA machinegun is included, as are a pair of air-cooled .30cal MGs as well. Bottom line is that I love this kit, and can't wait to build it. There are a few errors that can be corrected with parts from my spares box, and for those who want to build something different, you can pair the turret from this kit with an M4A3 hull to make an M36B1, though you'll have to scrounge for markings elsewhere. MR Models had announced an M36 kit years ago, but it's never seen the light of day as far as I know. With this ExtraTech kit available for several years now, I wonder if MR will ever come through with their plans. It would be nice though, if some company would produce an M36 turret set that could be used for an M36B1 conversion project, so we wouldn't have to sacrifice an entire ExtraTech kit for such a project.